The Premium Subscribers Add-on plugin extends the base functionality of the Stripe Payments Plugin to provide easy to manage premium content features in your WordPress environment. For more information on the available features visit the add-on’s home page. 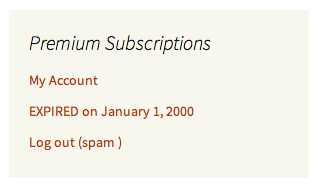 First you have to setup your subscription levels (e.g. Gold, Silver, Bronze) and your payment plans (e.g. 6 months, monthly). Once you have your levels defined, you can assign content to be accessible only by subscribers with a certain level (e.g. Gold). The details of setting up the levels, plans and protecting content is covered elsewhere. Once the page is submitted the new subscriber will be taken to either your site’s home page or the ‘Welcome Page URL’ that you set on the setup tab. 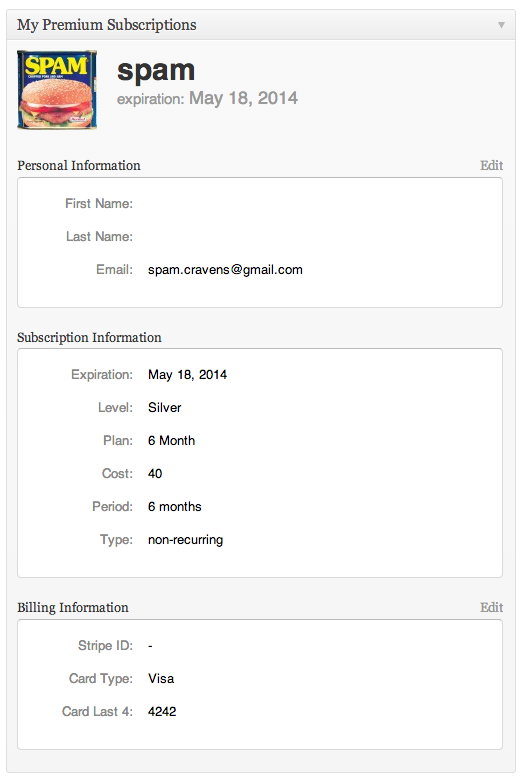 For security reasons, accounts are not activated until a successful payment notification is received from Stripe. Payment notifications are setup as part of the base plugin configuration. The payment notification typically takes only seconds to arrive. Stripe at times may experience delays (these happen rarely, but could be up to hours). After receiving the payment notification, two things will occur. 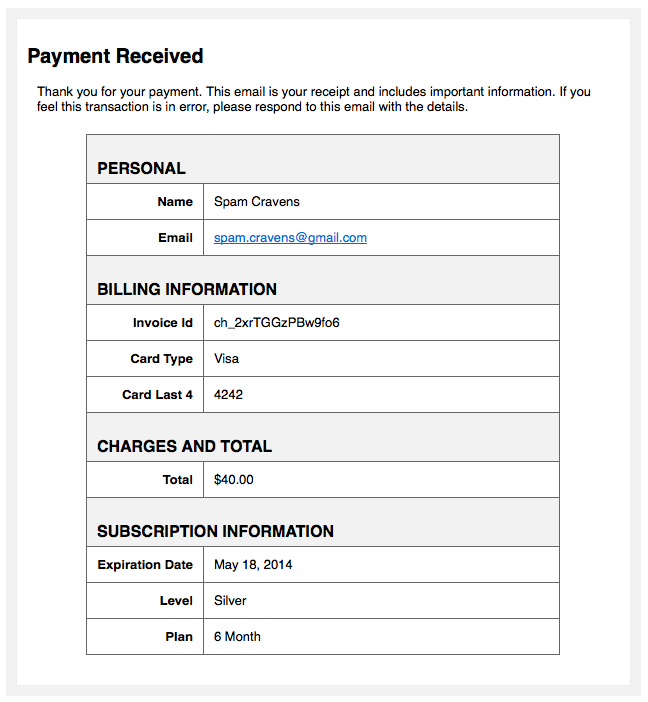 The subscriber will receive a payment email receipt. 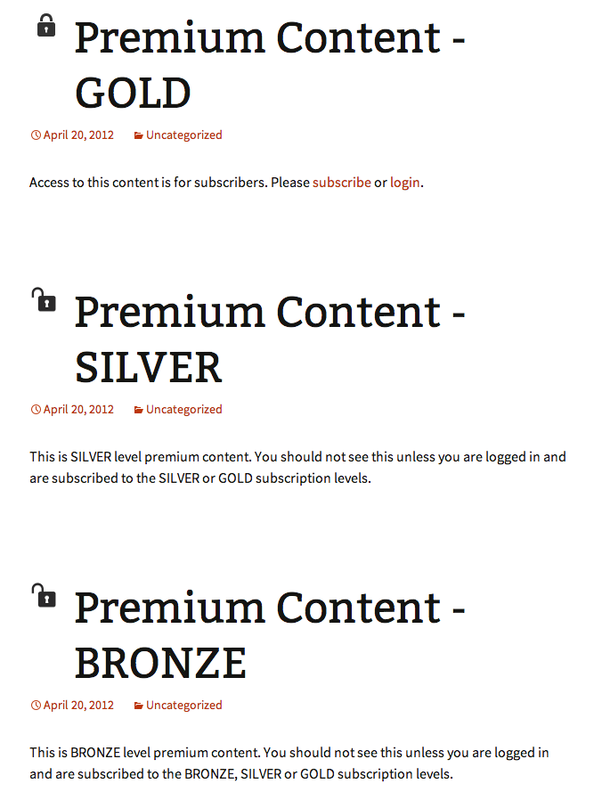 The subscriber will now be able to access premium content for their subscription level up until their expiration date. Recurring payment plans update the expiration date at the payment frequency (e.g. monthly, yearly). If the recurring payment fails (e.g. 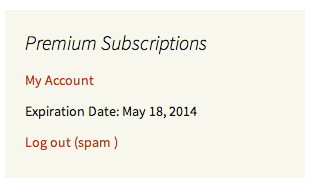 card expires) the expiration date will not be advanced and the subscriber’s account will be expired. At this point, they can login to manage their account (e.g. update their card information) but they can no longer access premium content. Here the can update their personal/billing information and cancel their recurring subscription. Questions? The best way is to enter them in the comments below so others can benefit from the answer. Otherwise, email me info@diglabs.com.